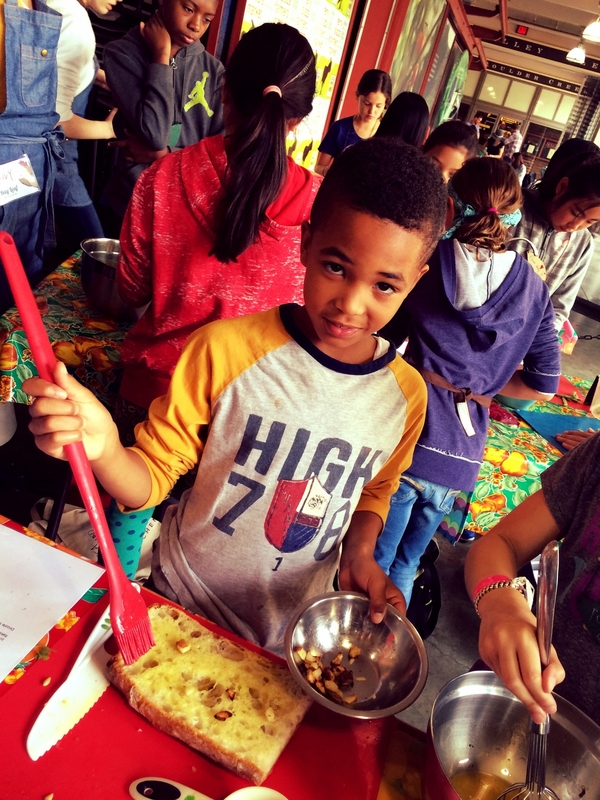 It was another fun, nutritious, innovative and silly day at Bay Leaf Kitchen Camp on Day Two! 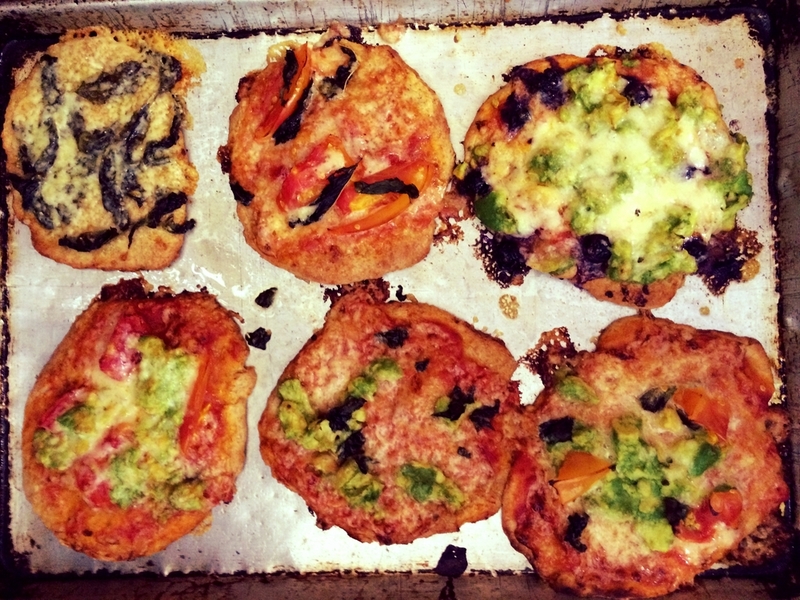 In the morning, we made personal pizzas with flour from Eatwell Farm - their Heirloom Sonora Four has a much nuttier taste and gave our pizzas another depth of flavor. We also made bruschetta, a three bean salad and zeppoles which are a kind of Italian donut. One of my favorite things about the day was our opportunity to shop for our ingredients in the farmers market! We got to use our five senses to taste, touch, smell, hear and see our ingredients right before using them to cook. We also had the opportunity to talk to and learn directly from the farmers who were selling their produce. We learned some pretty interesting things such as the color of honey depends on the type of flower or tree the bees pollinate and that Royal Blenheim Apricots are the hardest to grow since they ripen from the inside out! During recess, we were visited by Theresa, a local yoga instructor who practices all over the Bay Area and has her own Yoga Instruction Company called Tree House Yoga. 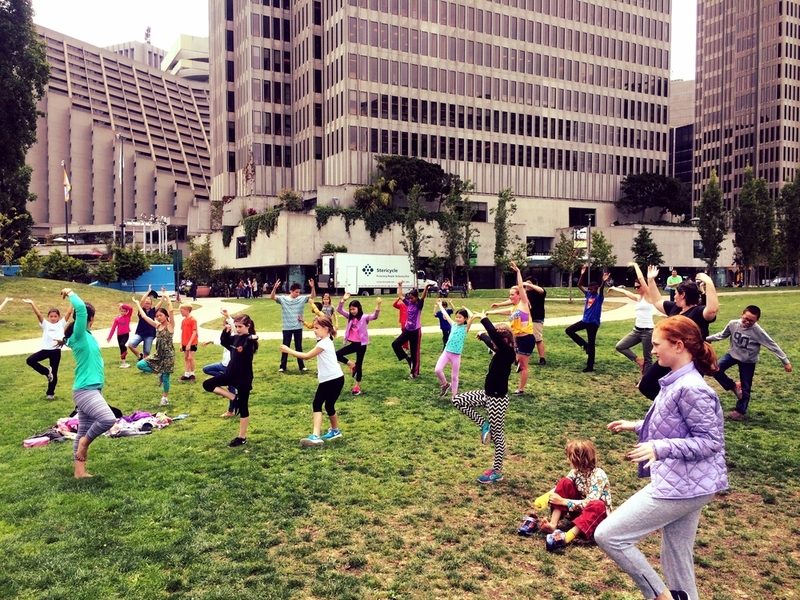 Theresa brought a whole new dimension to Bay Leaf Kitchen Camp by teaching us that its not just about what we put into our bodies but what we do with our bodies that is so important. We did yoga on the grass and learned some fun new poses to try at home. 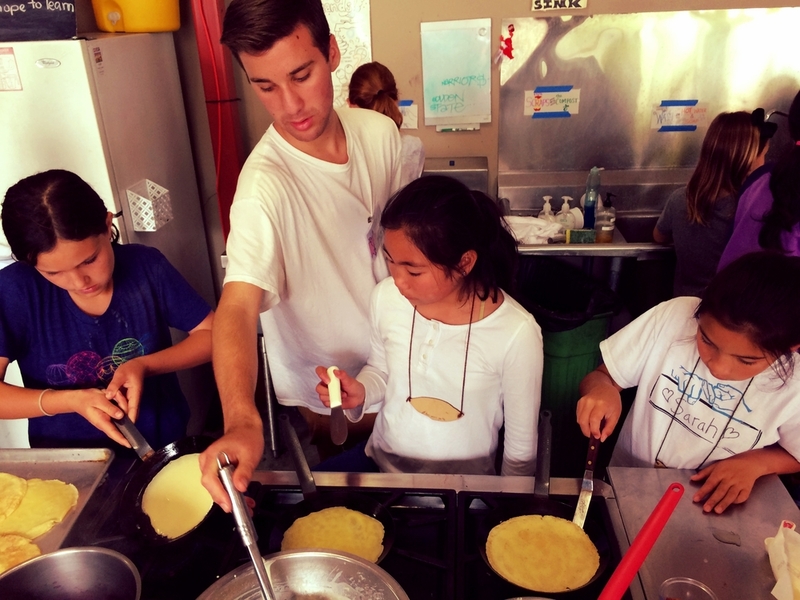 After play and exercise time, we went back to the kitchen where Chef Beatrice from Sur la Table taught us how to make crepes with a stone fruit and berry compote. She taught us about all kinds of fun spices like green cardamom pods, star anise and whole cinnamon sticks. The fragrant smell of the spices filled the whole kitchen. Beatrice began cooking at the age of 8 and never stopped! All in all, another good day at Bay Leaf Kitchen Camp! Don't forget to check out our Recipes from each day on our website.